The Nigerian Stock Exchange used an open outcry system until trading was automated in 1999. 3. Is the Bond Market Less Efficient Than the Stock Market? Nigeria is Africa’s most populous country and is on track to overtake South Africa to become Africa’s largest economy. The economy is driven by oil exports, as Nigeria is the largest African member of the Organization of Petroleum Exporting Countries. But its fast-growing film industry, known as “Nollywood,” also contributes by churning out more feature-length films each year than Hollywood does. The Nigerian Stock Exchange was formed in 1961 and has made important progress in becoming a transparent and efficient market that could attract foreign investors. Stock market efficiency can be measured in different ways. Conventionally, efficiency is measured by operational efficiency, allocation efficiency and pricing efficiency. Within the context of the overall economy, efficiency can be measured by the extent to which the stock exchange contributes to Nigerian companies’ abilities to raise funds via public stock offerings in a timely and relatively inexpensive manner. In this larger view, the NSE’s success has been only marginal. However, it has set a public goal of reaching a market capitalization of $1 trillion by 2016 and plans to bring 500 companies to market over the course of five years. Operational efficiency refers to the exchange’s ability to carry out and finalize trades quickly, correctly and inexpensively. The presence of market makers typically adds to operational efficiency, and in early 2013 the NSE implemented 13 market making firms to boost liquidity. In 2012 the NSE updated its trading platform by licensing the Nasdaq X-Stream trading platform -- one of the largest steps taken by the NSE since the introduction of remote trading in 2005. 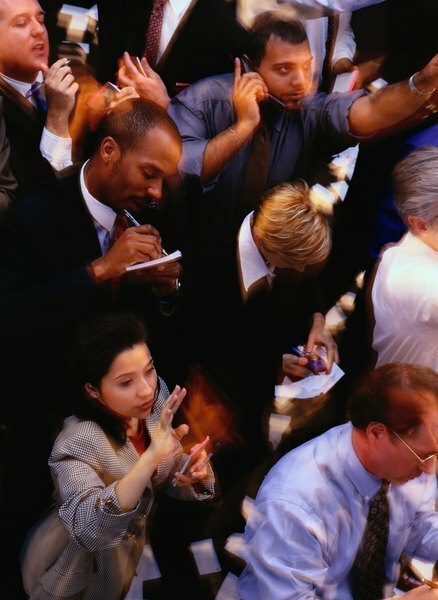 Allocation efficiency refers to the exchange’s role within the overall economy with respect to allocating scarce resources where they can be most productive. A number of academic studies on this issue have produced mixed results. Benchmark studies that were used in the past to analyze the American exchanges were replicated using stocks trading on the NSE; while results were mixed, the general conclusion was that the NSE was inefficient. This matches anecdotal data on Nigeria, such as the huge number of small, illegal oil refineries that operate using stolen petroleum. Pricing efficiency is measured by how well securities prices reflect all available public information that could affect their values. The best-known theories regarding pricing efficiency are Eugene Fama’s efficient market hypothesis, which asserts that any relevant information is quickly and efficiently processed by the market and factored into stock prices, making it nearly impossible to consistently earn returns in excess of the broader market. The American exchanges are thought to be somewhere in between semi-strong- and strong-form markets with respect to efficiency, as a small number of insiders seem to be able to profit upon gaining inside information, although stock prices generally reflect most available information. In Nigeria, research has demonstrated that the NSE is generally efficient, as it is nearly impossible to consistently outperform randomly selected stock indexes. However, the NSE is not adequately transparent, as enforcement of regulations governing insider trading, securities fraud, reissuing stock certificates and investigating excess transaction fees can still be lax. What Does NASDAQ Consist Of?